Becky Lomax grew up hiking, camping, and skiing in Olympic National Park, North Cascades National Park, and Mt. Rainier National Park (where her dad used to serve as a ranger). During college, she worked summers in Glacier National Park. After teaching high school English for many years outside Seattle, she and her husband moved to Montana, where she served as a hiking and backpacking guide in Glacier, worked at a ski resort, and began to write about the outdoors. She relishes visiting national parks to hike, bike, backpack, kayak, and raft. Through her writing, she advocates for conserving wild places for their unique attributes and the renewal they bring to humans. She has written about hiking trails, historic lodges and roads, camping, paddling, skiing, bicycling, wildlife, wildflowers, birds, and climate change. For magazine stories, she has tagged along with biologists into the field to radio collar bighorn sheep and grizzly bears, even touching the bear's claws and smelling its fur to discover its earthy scent. She has published stories in several national travel magazines including Smithsonian and Backpacker. 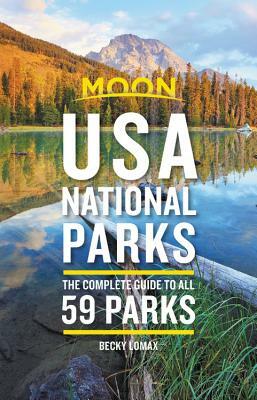 She also authored Moon Glacier National Park, Moon Yellowstone & Grand Teton, and Moon Montana, Wyoming, & Idaho Camping.